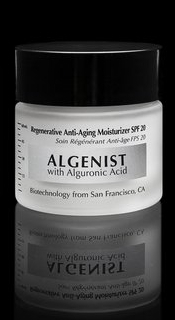 Please allow me to introduce the Algenist Brand and a few of their star products. This is new and unique brand to the industry with very different history then I have ever heard. The Algentist is a part of a biotechnology lab in San Francisco. The scientists there study renewable energy and it was it their research that they stumbled over a microalgae cell that produces an ingredient called Alguronic Acid. 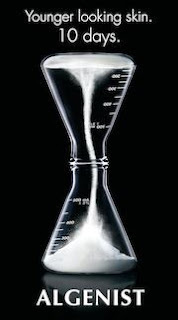 When they tested Alguronic Acid on the skin they found it delivered anti aging results superior to many of the leading anti aging ingredients on the market today....without any adverse side effects! For anyone who has used retinol and couldn’t stand the peeling or if you have sensitive aging skin the Algenist products would be perfect for you. Alguronic Acid addresses all the classic signs of aging including hyper pigmentation, elasticity and increased cell turn over. These products that I am about to describe to you have been clinically tested and are proven to give visible result with in 10 days! The Concentrate serum has the highest percent of Alguronic Acid compared to any of the other Algenist products. It can be used night and day unlike retinol products and in conjunction with your current skin care . You can expect to see a difference in your skin tone, radiance, reduction in fine lines and wrinkles, firmness and elasticity! This serum is a must have for anyone who is looking for a non aggressive anti aging treatment. for day time as well. Love this eye balm! I personally have very sensitive skin and have to be very careful with eye creams as they can cause rashes, irritations and or give me welts. Very excited to share with you that I have been using this eye balm successfully for 6 months. 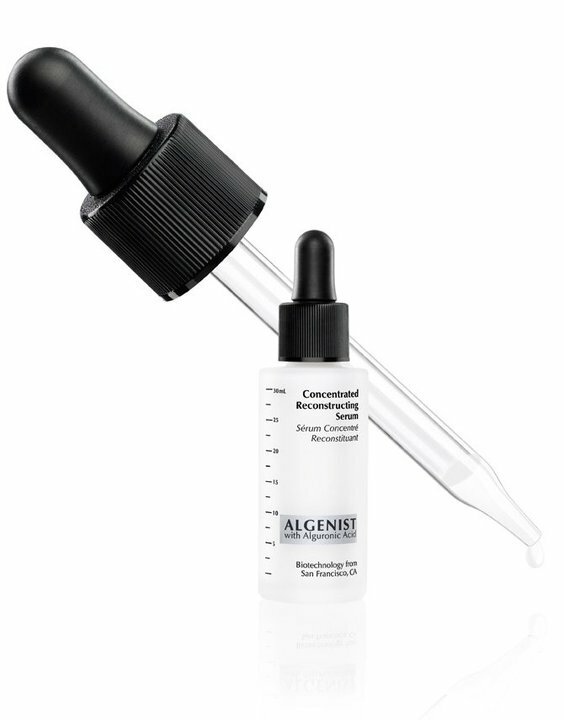 Since it does have the Alguronic Acid it addresses all the signs of aging around the eye. The eye balm also contains Vitamin C, Caffeine and Cucumber extract.. together these ingredients help with collagen, radiance, fine lines, puffiness, soothes, provides hydration and nourishment for the delicate skin around the eye. If you are a makeup junkie like me you will love this eye balm because it absorbs right into the skin not leaving a greasy residue behind like most eye creams. On QVC there is an Algenist Skin Care 3-piece Discovery Kit that includes all three products for $45! Read more about Brenda Fay Lavoie here!! Follow Algenist on twitter and facebook!